Rega's Limited Edition White Belt was so popular they decided to make it a standard production item! Made from an ultra-pure rubber designed for Rega's cartridges, but now unbleached, this belt is the same one originally offered as the Limited Edition White Belt. 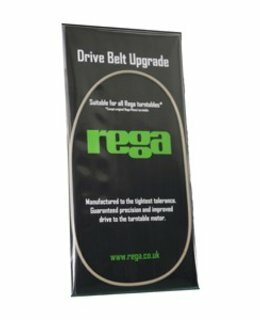 The Upgrade Drive Belt is far superior to the standard Rega Belt, an improvement that is easily audible and easy to implement! The Upgrade Drive Belt is made from a new type of rubber; this ultra-pure rubber doesn't have any dyes in it, and is now unbleached hence the tan color. 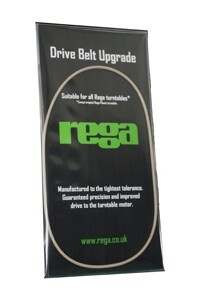 This new material is smoother and stronger than the standard drive belt, Rega claims theUpgrade Drive Belt is the most accurate drive belt they have ever produced, one that guarantees precision and improved motor control.